With this Glow-In-The-Dark Super Sand Art set you can make 6 Sand Art Projects. 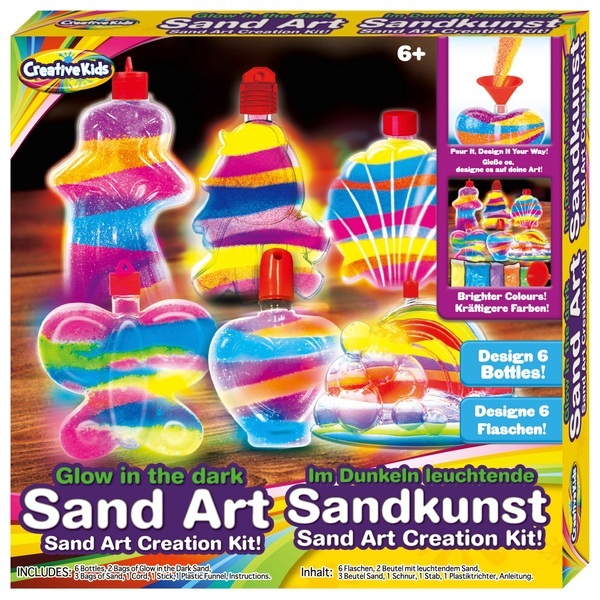 You have all you need for hours of fun with Glow-In-The-Dark Super Sand Art! Please note the primary glowing sand is the green sand which is meant to be used in intervals in the sand laying process to create the glowing effect.